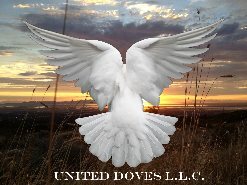 We collect information from you when you register with United Doves or fill out a form. ERASURE: To exercise this right, you can do so by emailing customersupport@uniteddoves.com. PORTABILITY: If you would like to submit a data access request, you can do so by emailing customersupport@uniteddoves.com. We use SSL Encryption to ensure that your financial transactions are secure, and store your information securely. We do not store your credit card information on Uniteddoves.com. You always have the opportunity to opt out of our marketing communications or change your preferences by following a link in the footer of all non-transactional email messages from us or by emailing us at customersupport@uniteddoves.com. Some communications from us are considered transactional or service communications (for example, Account notifications and billing information), and your Account(s) for United Doves Services are provided to you upon the condition that you receive these communications from us. You must cancel your Services if you do not wish to receive these transactional or Service communications. You may still receive marketing communications from us even after you cancel your Services unless you also opt-out of our marketing communications, as described above. If you are located outside of the United States, please note that the information you provide to us will be transferred to the United States. By registering with Uniteddoves.com, you consent to this transfer.